SEARCH for the employee whose COBRA benefits need to be terminated. 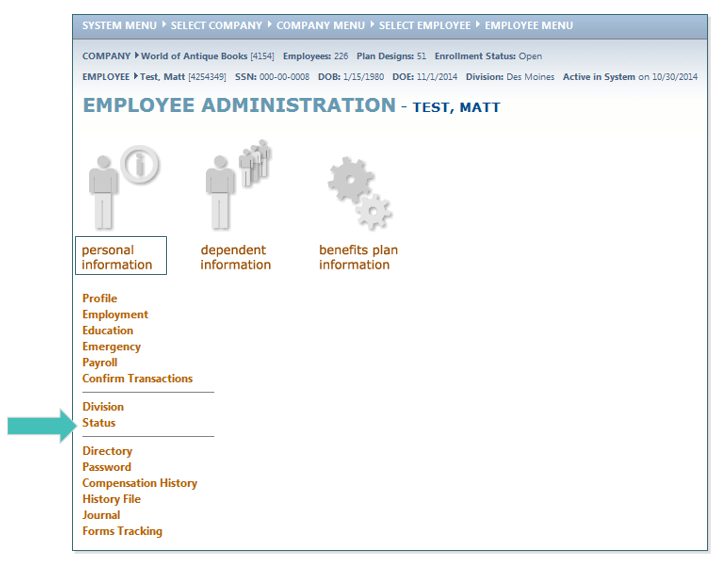 On the Employee Administration Menu, click on Personal Information then click Status. Change the Status change Effective Date to the COBRA end date. Change the Employee Login Disabled status to Yes. 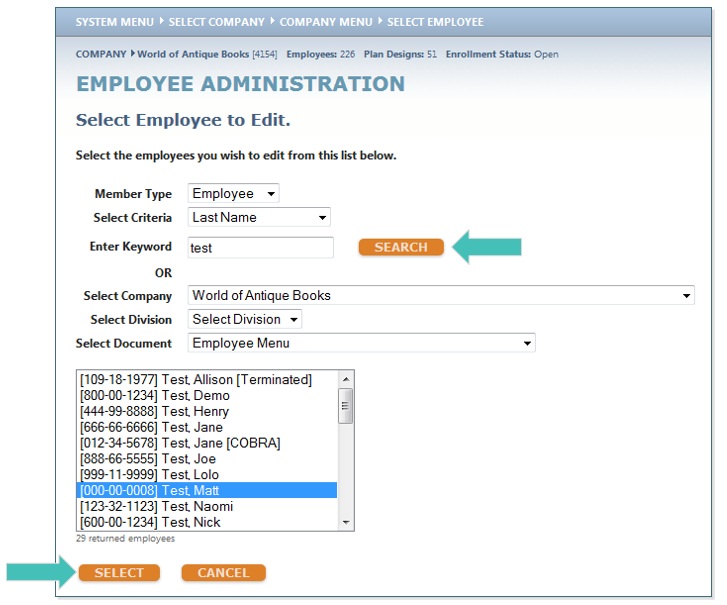 This will disable the employee’s login access preventing them from entering the system. 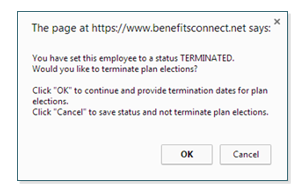 You will be prompted to terminate plan elections – Click OK. TIP: If you click Cancel, the COBRA participant will remain enrolled in benefits. Change the Termination Date for each plan that is to be terminated to the new termination date and then click SAVE. TIP: NEVER click the box to Delete Election. This will cause the system to act as if the benefit election never existed and will not report the change to the carrier(s).